When it comes to reaching your goals for the coming year, nothing is as effective as a solid plan—taking the time to set goals, breaking them down into achievable parts, and scheduling them into your planner. Although any planner is better than no planner, not all planners are created equal. What works for one person may not work for you. Here are some things to consider that may help you select your perfect planning system. Consider the size. How large does your planner need to be? The most common sizes are Classic and Compact. The classic-sized planner binder is designed to fit a folded sheet of 8.5” x 11” paper. 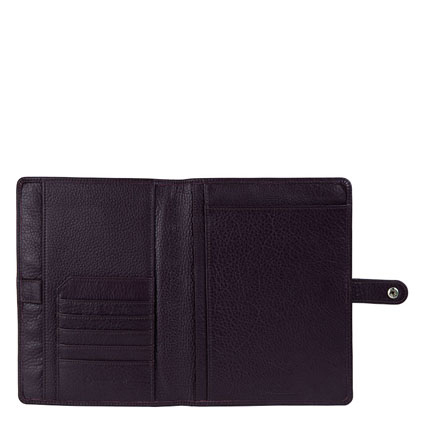 It’s a great way to carry important documents, envelopes, or meeting notes. The compact size is slightly smaller. It’s a great solution for people who want everything the Classic size offers in a smaller package. You can still carry important papers in this binder, but they’ll fit much tighter. The Monarch-sized planner binder leaves nothing out. This binder holds full sheets of 8.5” x 11” paper as well as a portfolio pad. The Monarch planner offers great visibility and lots of room for notes, ideas, and inspiration. Sometimes it’s easier to travel light. The Pocket-sized planner is designed for those occasions. 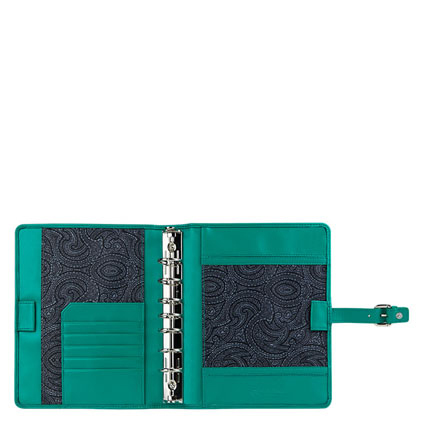 This planner fits easily in your purse or lapel pocket, and is a great way to stay on schedule when you’re on the go. How do you want to layout your schedule? Does your schedule require you to keep detailed track of daily events? Do you find that you need a significant amount of room for notes? If so, you’ll want to consider a daily planner. 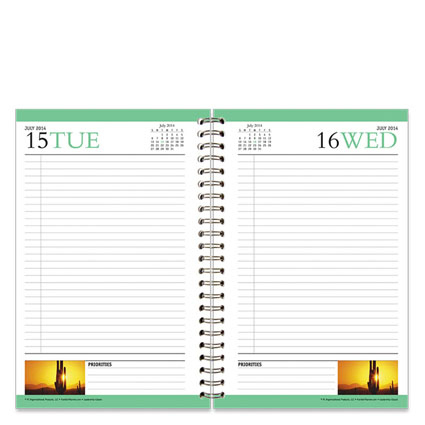 Some planner designs offer a two-page-per-day layout or a one-page-per-day design. Both offer great space for appointments, to-do’s, and notes. It’s up to you to determine if you prefer a full page of paper for notes, or if a half sheet will do. Maybe your schedule is less crowded—perhaps your daily work assignments take the bulk of your time, but they aren’t something you need to note in your planner. If so, a weekly layout may work best for you. We have several weekly designs, from long columns for each day’s events, to pages with short boxes for each day and larger boxes for more detailed notes. As you look through the available weekly layouts, take time to consider what formats will work best for you. Do you prefer a structured or unstructured layout? Many of our most popular layouts are structured into columns for to-dos, assignments, daily schedule, goals, and notes. But this design may not work for you. Perhaps you have very few daily appointments, but you usually have large lists of things to do. If so, a daily schedule column may simply take up space you’d rather use for something else. Our planner designs include various degrees of structure. Our Real Life Adventures Planner, for example has most of the things you’ll see in our most structured design, but it dispenses with the daily schedule and leaves you more room to write your to-dos. Our Six-month Daily Notebooks are wide open in their design, giving you ultimate freedom to plan each day’s events as you see fit. As you look through each planner, take note of the way it’s laid out and determine if it will work for your needs. Do you prefer a wire-bound or a ring-bound planner? This is a great question. Wire-bound planners are nice because they don’t require a binder to keep them intact. You can toss one in your purse or laptop bag and you’re ready to go. But ring-bound planners allow you to add pages in strategic locations, and the binder offers great organization for your notepad, business cards, and documents. Of course, your wire-bound planner can be improved with a wire-bound cover. These beautiful covers protect your planner from the elements and give you every organizational feature you’ll find in a ring-bound planner. Wire-bound covers are often thinner than ring binders because wire-bound planners are often sold in kits with separate monthly booklets. 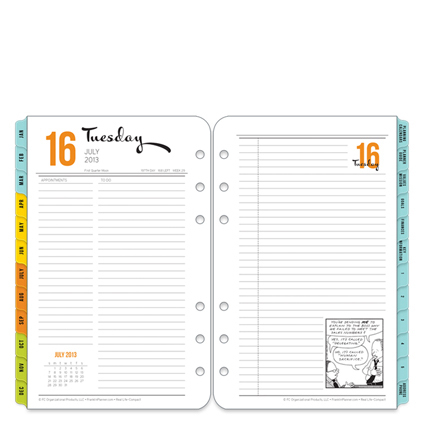 This keeps your planner thinner and easier to carry. Now that you have a basic idea of what to look for in your next planner, slip onto our site and start browsing. We’re confident you’ll find exactly what you’re looking for.